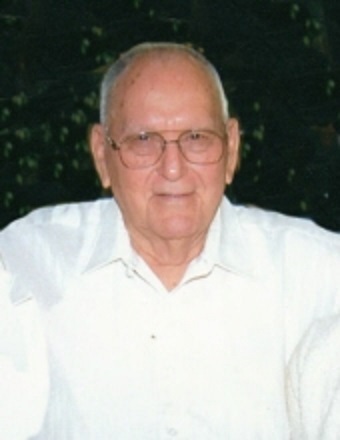 James “Jim” Rich 93 of Clinton, Illinois passed away 4:26 A.M. August 14, 2018 at his family residence, Clinton, Il. Services will be 10 AM, Friday, August 17, 2018 at the Calvert Funeral Home, Clinton, IL with J. Kent Hickerson and Ernie Harvey, Jr. officiating. Burial will follow at DeWitt Cemetery, DeWitt, IL with Military Honors. Visitation will be 5 – 7 PM, Thursday, August 16, 2018 at the funeral home. Memorials may be directed to the Little Galilee Christian Assembly Kitchen Fund. Jim was born July 29, 1925 in Clinton, Illinois the son of James and Eliza Jane (Privett) Rich, Sr. He married Wilma V. Longenbaugh February 15, 1947 in Clinton, Il. She passed away December 22, 2001. He later married Mabel R. (Welch) Manigan on April 9, 2005 in Clinton, IL. Survivors include his wife, Mabel Rich, Clinton, IL; Children, Larry (Lori) Rich, Weldon, IL; Linda Hickman, Clinton, IL; 5 Grandchildren, 19 Great-Grandchildren, 2 great-great-grandchildren; step-son, Thomas (Cindy) Manigan, Minooka, IL; 6 step-grandchildren, and 3 step-great-grandchildren. He was preceded in death by his Parents; 2 brothers, 5 sisters; 1 step-daughter, Anna Stepp; and 1 great-granddaughter. Jim was a retired farmer. He was a member of the First Christian Church and the American Legion, Clinton, IL. He proudly served his country in the US Navy. Jim was a school bus for the Deland-Weldon School District for 20 years.